A LOT of people are rather displeased with the premiership of Theresa May. They want her to step down. Her rise to the top job took place in the wake of the resignation of David Cameron. Mrs May had long been talked of as a successor to Cameron, but she apparently did not put her name forward before the referendum – when, of course, there was no vacancy nor any prospect of there being one. Cameron was quite young when he became Prime Minister, and was not yet 50 when he left office. His fall was spectacular, but his rise was also rapid. Elected as an MP in 2001, Cameron was party leader before 2005 was out. Less than four years later he was Prime Minister. By contrast, Mrs May was in Parliament for 19 years before she entered No 10, more than double the total time Cameron was an MP before he got the top job. For the last century or so every peacetime Prime Minister who has stepped down while their party remains in government has been succeeded by a holder of one of the other three Great Offices of State. The exception is Bonar Law, but it was ill-health that caused him not to be in one of the top jobs he had held previously. While this is not a rule it is quite a trend. Based on this trend, the only genuine alternatives in 2016 to Mrs May as Prime Minister were the two members of the Cameron cabinet who did not stand, namely George Osborne and Philip Hammond. Osborne could hardly implement Brexit after the way he campaigned for Remain. It is now clear that Hammond’s heart would not have been in the job either. So Mrs May got the job to a degree by default, given the century-old trend. Observant readers will notice that this trend was for peacetime Prime Ministers. Churchill succeeded Chamberlain after being First Lord of the Admiralty. But he had previously been Chancellor of the Exchequer under Baldwin, and also Home Secretary under Asquith. So the trend, while tested, could still be said to have held firm. Lloyd George ascended from Secretary of State for War to Prime Minister, but had previously been Chancellor of the Exchequer under Asquith. 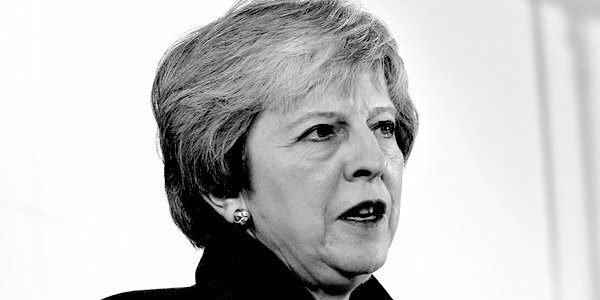 For better or for worse, Theresa May became our Prime Minister following a fairly solid century-old trend in British politics. Based on this, the next Prime Minister, assuming there is no intervening General Election, could be Philip Hammond, Sajid Javid, or Jeremy Hunt. Boris Johnson, having been Foreign Secretary could also qualify under the Churchill Exception, despite there being no war going on, unless Brexit counts as bloodless version. By this exception Amber Rudd also qualifies. But then so would Ken Clarke. If anyone other than Javid, Hammond, Hunt, Rudd or Johnson succeeds Mrs May during the life of this Parliament, it will overturn 100 years of history. But then we do live in interesting times.